On April 27, 1960, the USS Tullibee, the first atomic submarine to use turbo-electric propulsion, was launched. The Tullibee was also the first in a new class of hunter-killer submarines or ASW (Anti-Submarine Warfare) weapons, the first to be equipped with the AN/BQQ-series Sonar, and the first submarine to have the torpedo tubes amidships. 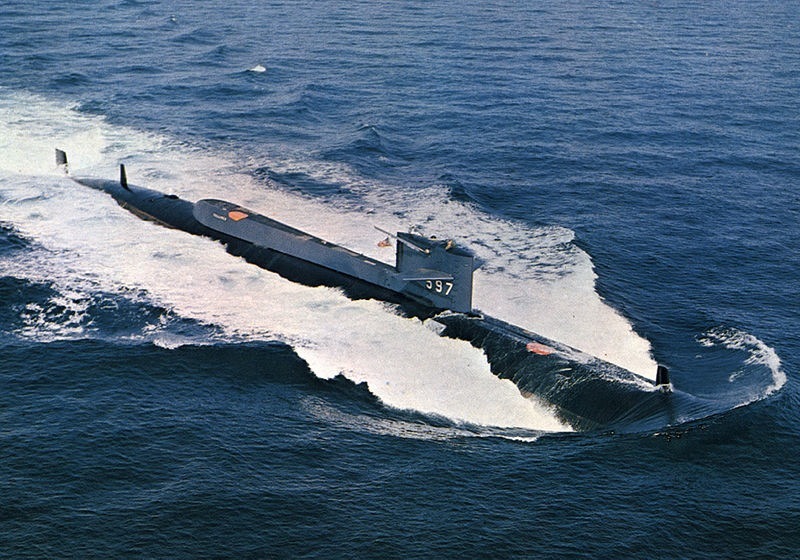 This “all-Connecticut” prototype was built by Electric Boat Division of General Dynamics Corporation. Elisha Root Changes Industry – Who Knew?